Rock On Charters is a full service fishing guide serving southwestern Virginia and the High Country of North Carolina. We are a dedicated team of outdoorsmen who thrive on sharing our knowledge, our passion, and our commitment to conservation. With only the finest equipment and a relentless approach to our craft, our guides are at the top of their class and at the top of their game. WE GIVE 100% EVERY TRIP, EVERY TIME. Southern hospitality is alive in the heart of the Blue Ridge and a truly unique fishery awaits. 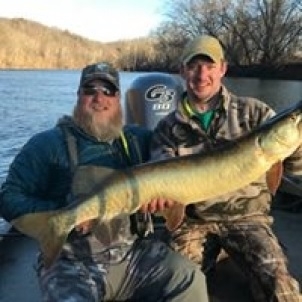 Tackle and techniques will vary with the changing seasons and regardless of the species your after or the method you choose to employ we have you in good hands, our guides have spent a lifetime in the woods and waters of the areas where we fish and are well abreast of the local ecosystems and the most productive ways to enjoy them. A fishing trip with Rock On Charters is more than just a day on the water catching fish, we strive to make everyone who fishes with us feel at home and leave with a better understanding of the fishery regardless of their angling experience. Our guides maintain a positive attitude at all times, always observing and employing different tactics to improve your chances for that fish of a lifetime, to build a relationship with our clients and most importantly, earn the privilege to fish with them in the future. Ken's favorite soft plastics, colors and sizes. Ken's other STC lures he uses.